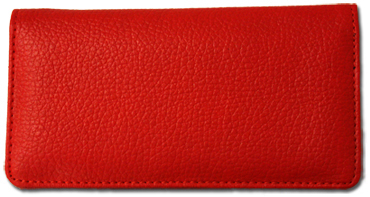 "Soaring Over America Personal Checks" product is already in your cart. 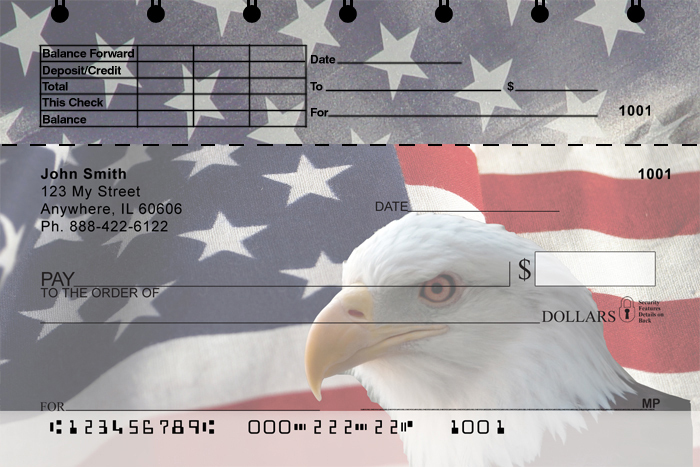 Soaring Over America Personal Checks from Bank Checks Now portray the American nationalism and patriotism through the symbol of the bald eagle and the proudly moving American flags. 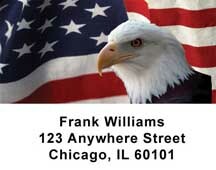 Order you new Bald Eagle checks today and save some money. Save up to 70% over the prices that local banks charge for new checks and any re-orders. Complete your new Soaring Over America checks with matching address labels and a coordinating checkbook cover. Order Now!